[X]How Much Does Your Building Weigh, Mr. Foster? In the very near future, the majority of mankind will abandon the countryside and live entirely in cities. Norman Foster offers some striking solutions to the problems that this historic event will create. The film traces the rise of Foster as one of the world's premier architects and his unending quest to improve the quality of life through design. Portrayed are Foster's origins and how his dreams and influences inspired the design of emblematic projects such as the largest building in the world Beijing Airport, the Reichstag, the Hearst Building in New York and works such as the tallest bridge ever in Millau France. 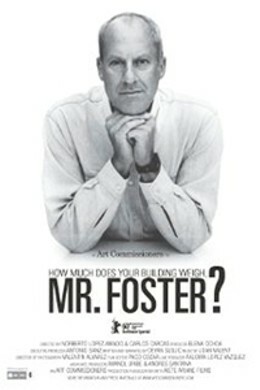 How Much Does Your Building Weigh, Mr. Foster? is not showing in any theaters in the area.